Life’s challenges are easier to overcome when people have the right support. Pathways can help you address your needs as you build your place in the community. Pathways Connect improves access to services for individuals with complex needs who are at risk of homelessness or living in low cost accommodation. Pathways Support and Connect assists SRS residents with complex needs to access services. Support and Connect also works closely with SRS staff to support residents and actively promotes information sharing and collaboration among service providers. Pathways Connect 50+ supports older individuals with multiple and complex needs to access and maintain a stable tenancy in public housing. Pathways Connect accepts referrals from health professionals, other agencies, friends and family members, and we also accept self-referrals. Referrals to Mental Health Pathways are made through the Dandenong, Casey or Monash Hospital social work departments. Referrals to Pathways Connect 50 Plus are made through Ermha’s Pathways Connect program. 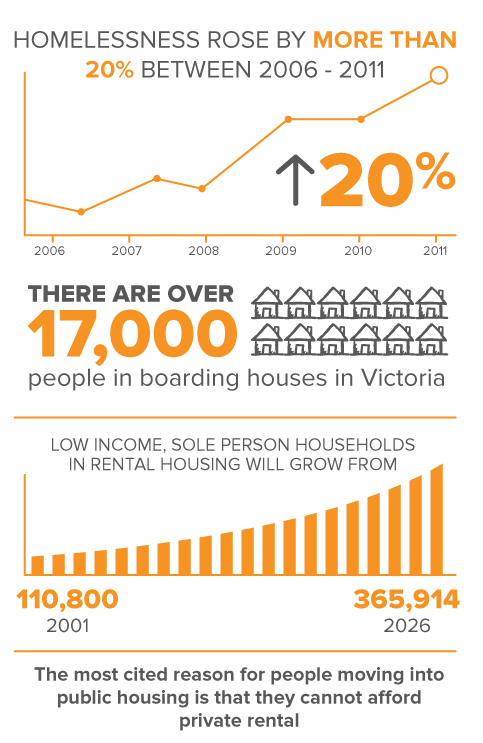 Referrals are also made by the Victorian Government’s Office of Housing and community housing providers. We also welcome self-referrals. The Pathways Support and Connect program uses assertive outreach to identify SRS residents with support needs. Referrals are often received from SRS proprietors through discussion with Support and Connect workers.